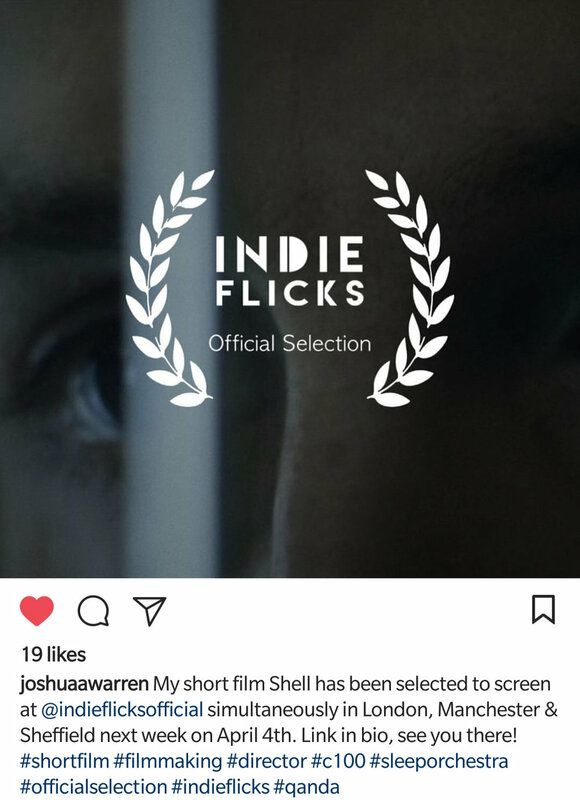 Joshua Warren, a friend of mine from my school days is a film maker and made a film titled "Shell". It will be shown at indieflicks this year in a showing, simultaneously in London, Manchester and Sheffield on April 4th. I did parts of the soundtrack of this short film and am proud to be a part of this project. Please check out Joshua's profile on Instagram for more info. Follow him and me if you haven't already. If you get a chance to see the film, I hope you enjoy it. UPDATE: 25-08-18 - You can now see the trailer on the website in the new Video section. There won't be anything new for this year's piano day, but I am making my track "in memoriam (short version" available through iTunes and Apple music on the day. Other online stores will follow shortly after that date due to processing speeds. Please spend a couple of minutes of your day on the 29th March to listen through to the track and remember anyone in your own personal lives that are no longer with you, and the composer's and musicians we have lost recently like Johann Johannsson and Chester Bennington. Have a happy Piano Day! Music available online at stores and streaming sites. The BIG news that comes.today is that my music is now becoming available under my Sleep Orchestra name on streaming and downloading sites. If you enjoy Sleep Orchestra and would like to help support the music then please go and look for my music and get streaming and downloading! So far I have "Home" and "Dark Skies Special Edition" available and I'm hoping to get more up soon. Now available on Spotify and Amazon. Sleep Orchestra, LIVE @ Pompeilab, Pompeii, Italy 18-11-16, is the live recording of my first ever continental performance. It is now available as a pre-order HERE and will release sometime on 1st February, 2017. If you are a keen fan, you may also see and finally get to hear a track that didn't quite make my latest album, Home. As an added bonus there is also a brand new track named Monte Vesuvio which was specially composed for the performance at Pompeilab, which you can listen to and download as part of the pre-order over at the bandcamp page.